For every 7 photo booth templates you buy, we’ll give you an extra download of your choice for free. Simply purchase a license for 7 photo booth templates (every time you “buy” a template, you are actually purchasing a license to use the template), we’ll review our records once a month and email a free download code to you once you’ve bought 7 templates. There are no restrictions on which templates you can choose with your free download. You can use it on anything in our store. Every time you pay for 30 photo booth templates, we’ll contact you to see if you’d like us to create a customized photo strip or postcard style photo booth layout just for you. We’ll then create a template according to your specifications, and then email you the layout for your approval. We then allow up to two revisions of this layout if you’re not completely satisfied with it. Starting from the date we provide you with the first draft of the photo booth template, you will receive a 6 month exclusive license. This means that you will be the only one in the world who will be allowed to use the new template for 6 months. After this time, we may make the template available to others. With this customized template, you can arrange with us to have it created by a specific date (possibly coinciding with the beginning of the wedding season or a very special event for your company). However, we will require at least one month to prepare it for you, and we may request up to three months to prepare it if we are extremely busy. Since this is a complimentary service, we will do our very best to have the template created by the date agreed to. However, we cannot be held liable if for some reason this date is missed. These rewards are complimentary and have no cash value. To qualify for these rewards, you must make all purchases with the same email address. Purchases from different individuals cannot be combined to qualify for a reward unless all purchases are clearly attached to a corporate email address so we can see that one company has actually made all the purchases. You will need to notify us if something like this occurs. 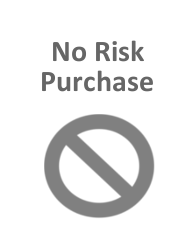 We reserve the right to modify or end these rewards programs at any time without notice. However, if we make a significant chance such as ending one of the programs, we will do our best to find a way of making it up to anyone who is close to redeeming a reward.